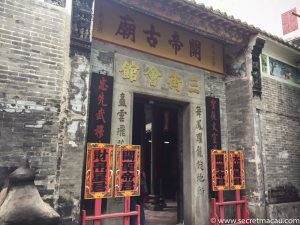 Sam Kai Vui Kun Temple (三街會館) is located not too far from Senado Square,near St Dominic’s Market (which used to be the old Chinese Bazaar area of the city). 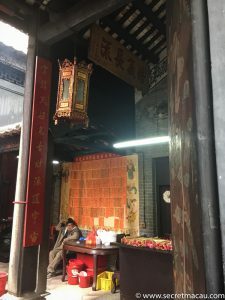 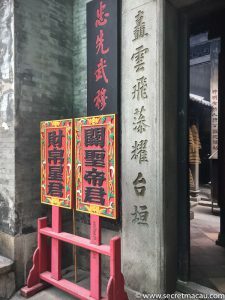 Sometimes also known as Kuan Tai Temple – dedicated to Guan Yu, an important general from the Three Kingdoms period who is now worshipped in Taoism and Buddhism. 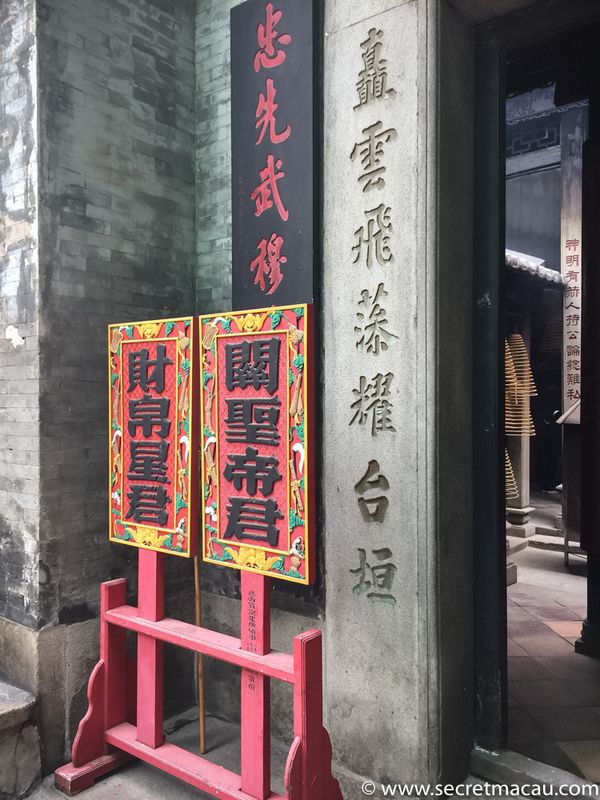 Historically, the temple has played an important role in the commercial and civic life of the city. Perhaps from it’s position in the Bazaar it has a long relationship to the precursor of the chamber of commerce in the city. 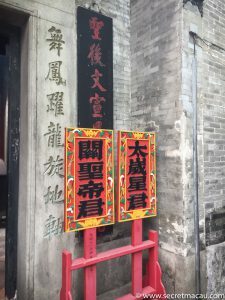 Official edicts from the mainland were publicly announced in front of the temple, and it formed a focus for the Chinese community. 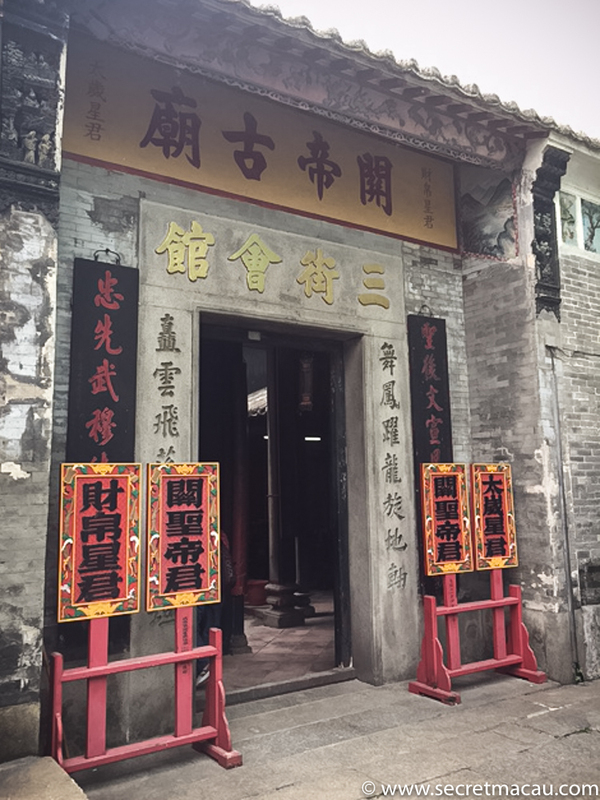 Although a fairly simple building on first appearance, there are many fine architectural details visible in the construction – the green glazed tiles on the roof (in the Yingshan style), friezes and ornamental features. 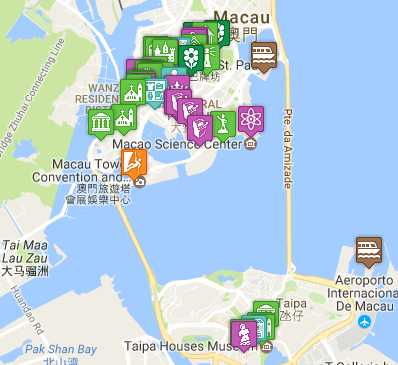 The temple now forms part of the UNESCO Historic Centre of Macau Word Heritage site. 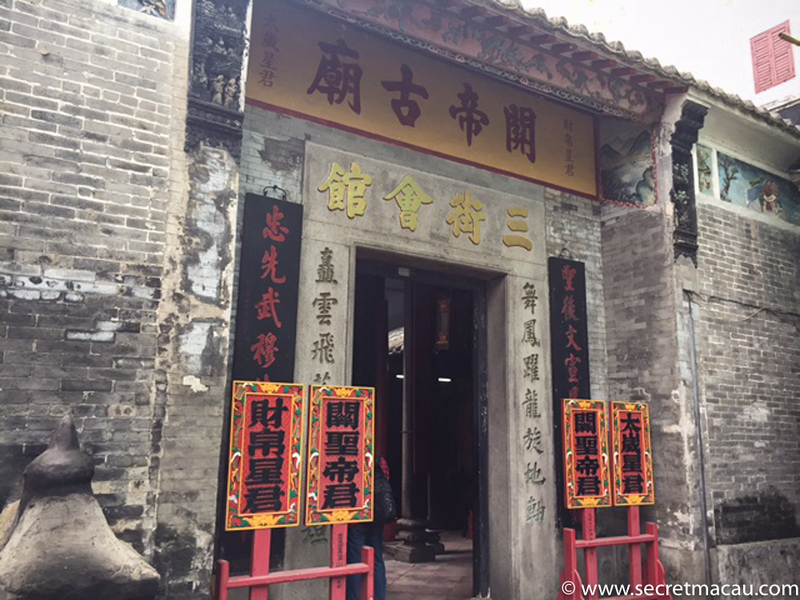 Sam Kai Vui Kun Temple is just a short walk from Senado Square.